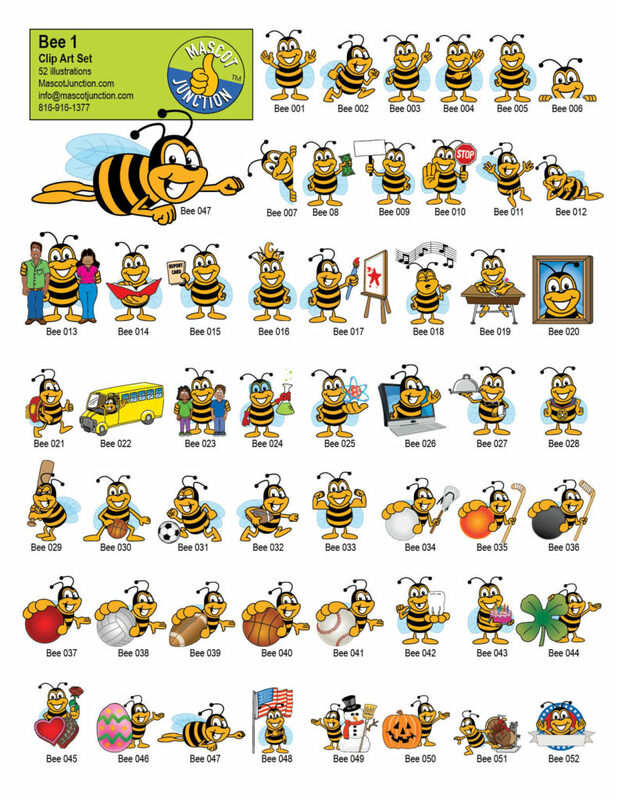 We have three styles of cartoon bees/hornets/yellow jackets. Each with their own clip art sets. Visit MascotJunction.com to see posters, banners, signs and other products featuring these mascot. E-mail info@mascotjunction.com if you are interested in buying this mascot clip art sets, or call 186-916-1377. Price is $250. All images included in high and low resolution formats. 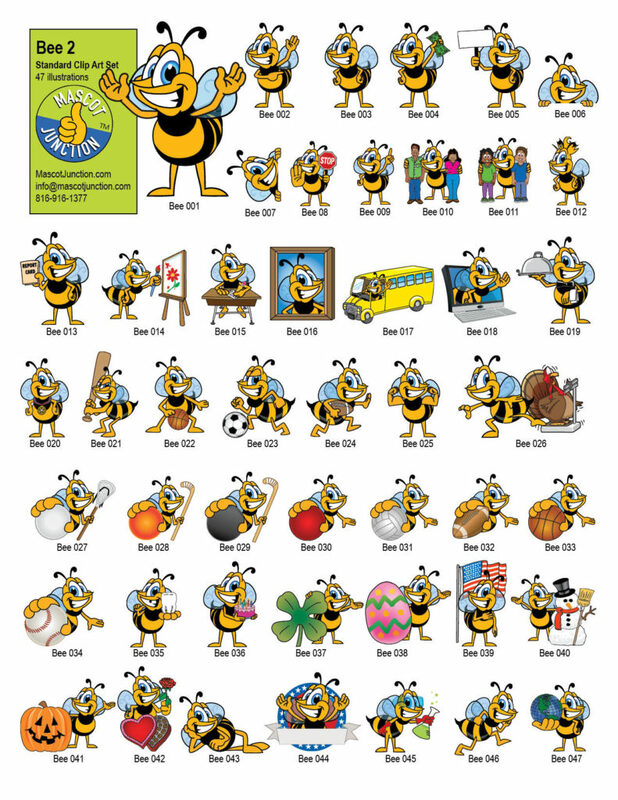 This Standard Clip Art Set is for schools, and if features the bee doing activities related to school, sports and holidays. 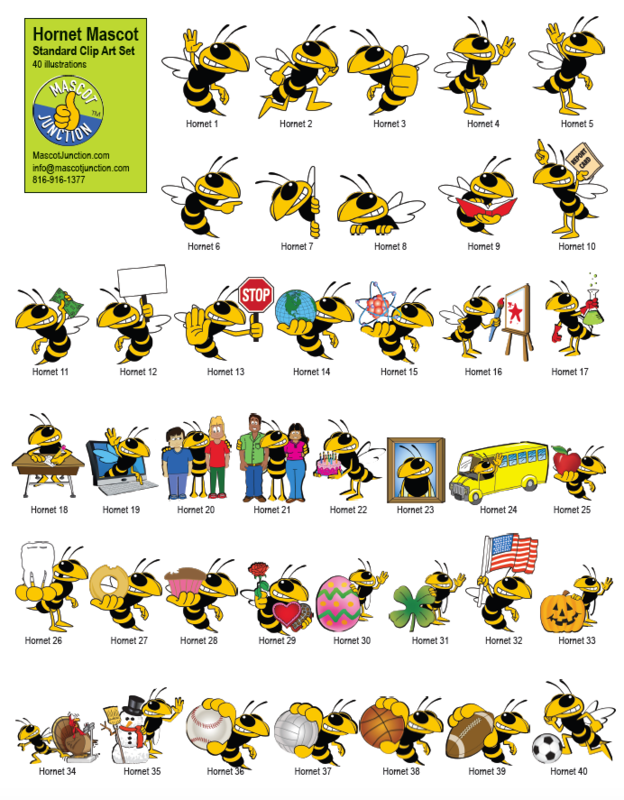 This Behavior Clip Art set is for schools with PBIS programs or character education programs. This is Bee Style 2. Standard Clip Art set for schools. 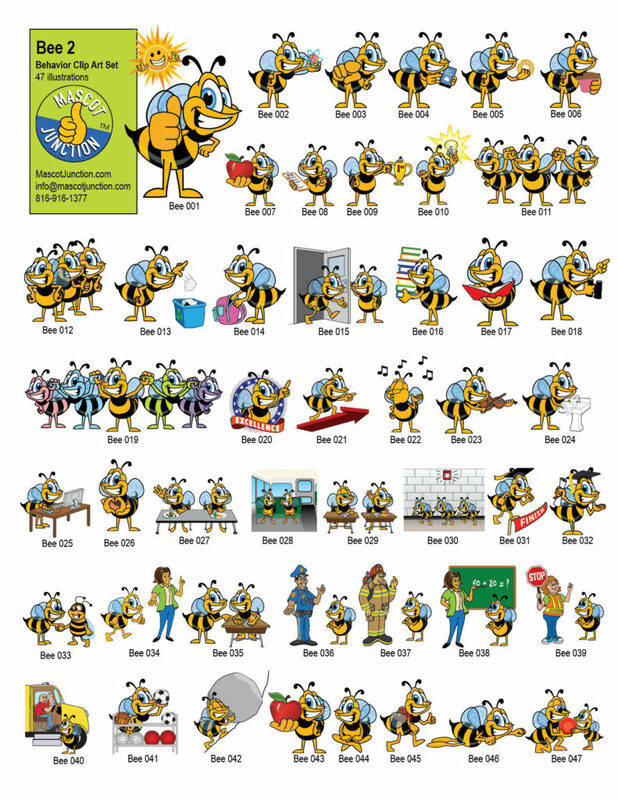 This is Bee Style 2, Behavior Clip Art set for PBIS and Character Education schools. 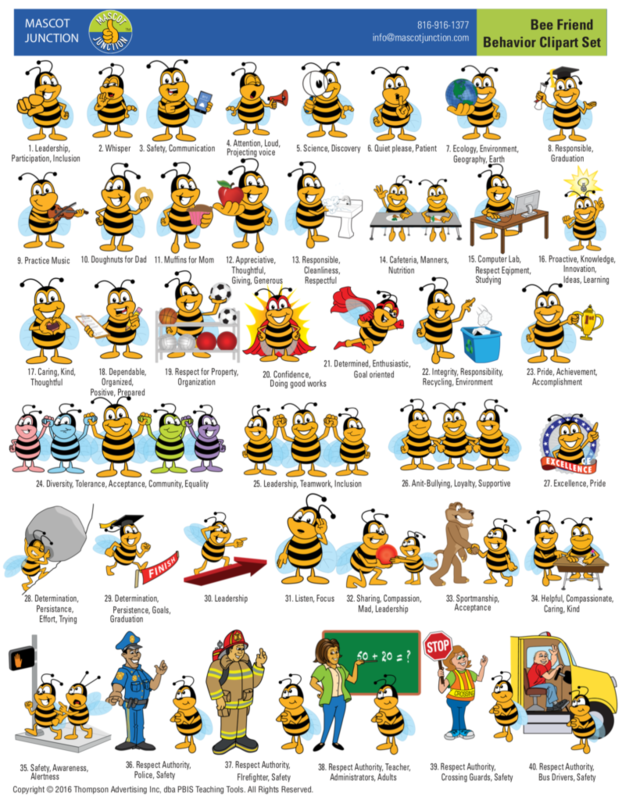 This is the Hornet or Yellow Jacket’s Standard clip art set for schools. 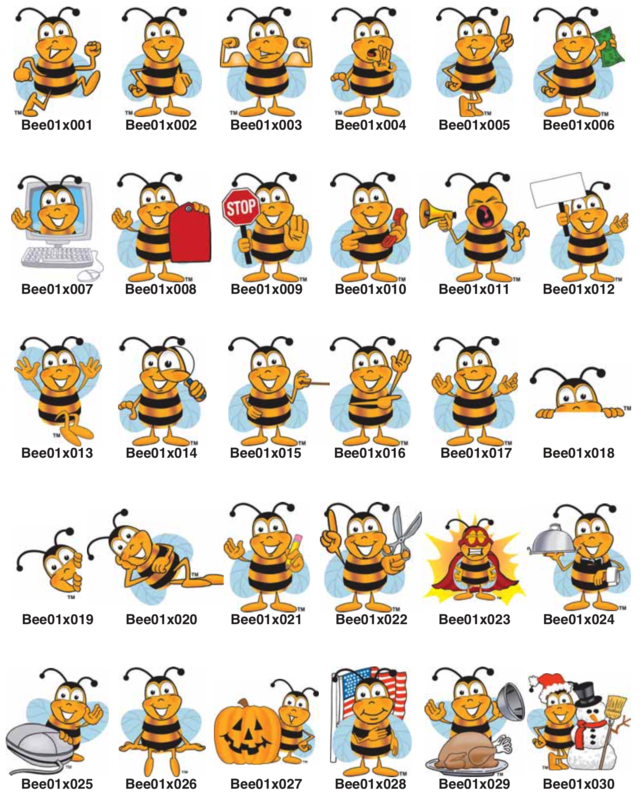 This is the Behavior Clip Art set for the Hornet / Yellow Jacket mascot.